An enduring legacy of her grandparents, Smale Park is a popular hangout for Lisa and her family. Two quick stories illustrate the depth and breadth of Lisa Diedrich's determination. As a little girl, she had lots of animals – rabbits, snakes, birds, horses, dogs, lizards, cats, whatever. At least 10 species at any time. She took care of them, fed them, made sure they had what they needed. When she would decide another animal was in order, she would call all the pet stores, get the best price, find out what the prospective pet ate, the works. This by age 5. She’d take the info and draw up charts to break it down to her parents. Like a regular presentation, but in crayon. Then when Lisa was around 10 years old, a huge old oak in front of her childhood home in Wyoming toppled. Lisa’s mother was getting ready to hire a tree service to haul it away. “I told her, ‘Mom, there can’t be many oak trees this big. I bet someone would pay us and even come get it.’ Mom didn’t believe me. She said if I could find such a person, I could have the money. So I went inside and called a lumberyard and asked a few questions. Two calls later, I found someone who paid us $2,000 and cleared the tree away. Some facts about Lisa: Her grandfather was former Procter CEO John Smale. She sometimes sought his professional advice – he never offered unless she asked. She often runs into people who remark that her father, a physician, is an unusually caring man who gives great advice. She is inquisitive, outspoken and has no problem expressing herself. Sometime in middle school, teachers and friends started telling her she ought to become a lawyer, having observed that she seemed to like to argue. She believes each of us continues to grow as individuals throughout our lives, or should. She believes, too, that when something goes wrong, it’s an opportunity to learn – and quite often, a chance to change oneself for the better. “I love the notion of solving problems before they happen. It’s rewarding to me to help my clients avert crises. I enjoy developing close, on-going relationships. I know many of our clients’ phone numbers by heart. Lisa has never met a problem she didn’t want to solve. She sees client issues in terms of solutions, and focuses on finding practical solutions that won’t break the bank. Lisa’s experience in both litigation and labor employment help her to see the whole picture, and avoid costly mistakes before they arise. She brings a broad perspective and strategic counsel to her work with clients. 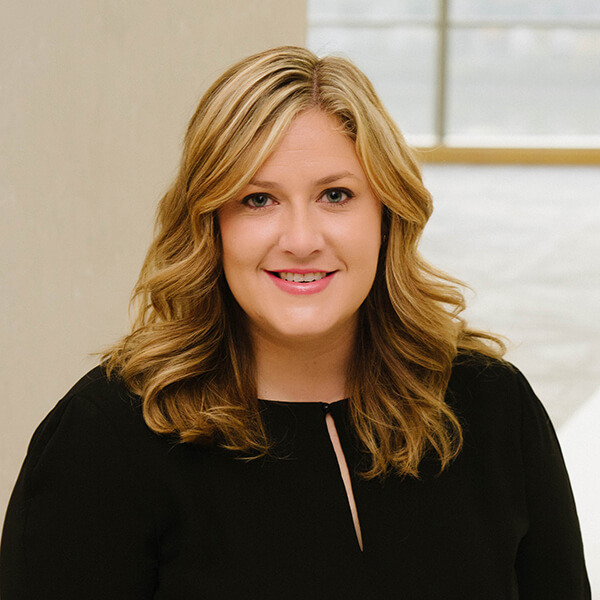 Increasingly, she enjoys serving as corporate counsel to businesses large and small alike, with a keen eye for managing risk and structuring contracts and deals to avoid costly conflict down the road. Comfortable and effective in the courtroom, Lisa brings a practical approach to her work with company owners and executives, and works hard to understand the broader business challenges they face, beyond just the legal issues at-hand. Lisa enjoys helping clients with entity formation and financing, operating agreements, contract review, intellectual property advice, commercial lease agreements and real estate issues, hiring and firing, policies and procedures, and day-to-day operational issues. In her role as a litigator, Lisa has been involved with a wide variety of corporate disputes involving matters such as real estate contracts and zoning, evictions, breach of contract, shareholder disputes, fraud, embezzlement, non-compete, trade secrets, intellectual property, state agency investigations, probate, and many more. Prior to her career in law, Lisa studied abroad through programs offered by the London School of Economics and New York University in Florence, Italy. She worked as an intern for Congressman Rob Portman, and Member of British Parliament, Paul Burstow. She also worked for the Hamilton County Republican Party and was active in local politics. A native of Wyoming (the Cincinnati suburb), Lisa and her husband Josh live in Columbia Tusculum with their children Kate and Jack. Lisa’s grandparents, John and Phyllis Smale were great supporters of Cincinnati’s Park System, and Lisa has continued that tradition as an avid supporter of Smale Riverfront Park and Cincinnati’s other parks and green spaces. She is a founding member of the Cincinnati Parks Foundation Women’s Committee, and has served as a committee member for the Hats Off Luncheon since 2008. Outside the office, Lisa and her husband and children enjoy going to parks and spending time outside. She also loves to fish for pike, bass, and walleye every year at their summer retreat in Ontario, Canada. Lisa enjoys cooking and reading, and cherishes the time she can spend with friends and family.